WOW. So... that didn't go the way I expected it at all, but holy hell was this sequel ever GOOD! 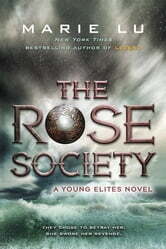 Epic, exciting, full of surprises and unique character arcs, and an ending that seriously sticks with you. I couldn't get enough! Before I go on praising this book, which you totally need to buy if you want a different take on an archetypical heroine, be aware that this book is dark. Seriously dark. Lu herself says in the acknowledgements it's the darkest she's ever written. But that's also what makes it so memorable and exciting! The lengths these characters went to in order to fight for the kingdom was astonishing. Their powers were devastating, and their motivations were fierce. Even the "good" characters had dark moments plaguing them. None more so than main character Adelina, who truly is a one of a kind heroine. She developed, but I can't really say it was for the better. Long story short, I would NOT want to mess with her. The twists were shocking, the visuals that Lu described absolutely breath-taking, and the emotions powerful. 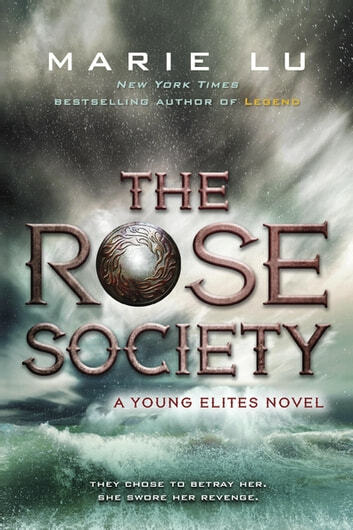 THE ROSE SOCIETY is a roller coaster of power from start to finish with an ending that truly packs a punch and sets up what will be an explosive finale. I'm so glad I bought THE MIDNIGHT STAR right after I bought the first two books, because I can't wait to see how all of this ends! Great job yet again, Mrs. Lu! Adelina is a very very rare lead character because she is both the protagonist and villain of the story. She struggles with (and succumbs to) darkness in a traggic and bittersweet way that you don't see in YA novels. I think all of us can see a bit of ourselves in her; the unrelenting sting of betrayal, the driving need for vengeance - and through it all, the illusion that WE are the victim in all this. I root for Adelina, but can't help but foresee a traggic end for her.